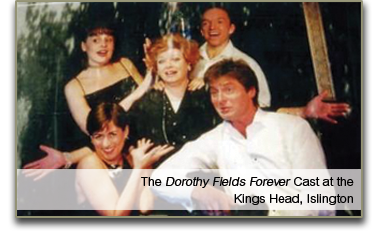 With Angela Richards as Dorothy Fields and Robert Meadmore, Kathryn Akin, Rebecca Lock and Stori James. 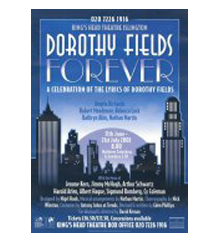 Based on the life and lyrics of Dorothy Fields, with the music of Jerome Kern, Jimmy McHugh, Arthur Schwartz, Sigmund Romberg and Cy Coleman. Theatre Museum 2001, Jermyn Street Theatre and King's Head Islington 2002. Choreography by Nick Winston. Musical arrangements by Nathan Martin. Directed David Kernan. A musical review charting the life and career of Broadway and Hollywood's greatest, if often neglected, lady lyricist. Her triumphs and disappointments are illustrated in her own words accompanied by music from the golden age of American song.